Looking for the perfect place to take your special someone? Here are 5 of our recommendations based on the kind of vibe you are aiming for. A popular spot for special occasions, Fish Bank Tokyo is located 3 minutes away from Shimbashi Station. This restaurant is on the 41st floor of the Shiodome City, and provides breath-taking views. No matter where you are seated in the restaurant, you will have a view of Tokyo Tower! There are two fixed menus: a seasonal one and a standard one.The Lobster Cappuccino, which is a savory Lobster Bisque served in a cappuccino cup served with a lobster cream foam...unforgettable! Be sure to make a reservation as this is a very popular spot. This restaurant is located 3 minutes away from Shibuya station. It is on the 5th floor of Prime Building. There are several different areas in the restaurant including the patio, where you can enjoy listening to live performances. There are dinner courses to enjoy a variety of dishes at once, or there are pasta, grilled meat, ahijo and other dishes in the a la carte menu. Listening to live music while enjoying your meal will definitely make it a special night. Tapas Molecular Bar is in Nihonbashi, on the 38th floor of the Oriental Lounge, near the Mitsukoshimae station. This restaurant is probably the most impressive in terms of presentation and surprise-factor! This restaurant only has eight seats and is a one-Michelin starred restaurant. Eating here is a two-hour experience, where the chef slowly serves you bite-sized dishes that will stimulate the eyes and the palate. The course starts at ¥17,000 and offers a variety of small dishes. Each dish can be a great conversation-starter, so this is a fantastic date option if you're still getting to know your date. Located in Aoyama, This place is beautiful! It has large window walls from which you get a peaceful view of the townscape. it's decorated stylishly and has changing ikebana ornaments as a centrepiece. If it were just for the ambiance it would be worth going, but on top of that, Apero serves great organic foods (french bistro style appetizers mostly) and really fine wines. The wines are a bit on the pricey side (¥1,500 for a glass and ¥5,000 for a bottle), but hey, it's a date! Apero is the ideal spot for a enjoying a night of conversation with your special someone. 512 Cafe & Grill is a cozy spot to take your date to for brunch or an afternoon snack. The specialty here is the brule pancakes, which the two of you can share as you stare lovingly into each other's eyes (too much?). The Brule Pancakes comes with 3 pancakes, 2 scoops of ice cream, whipped cream, and blueberry sauce. Before cooking the pancake, the chef adds meringue to the mix which is why the pancake is so incredibly fluffy and soft. Yum. 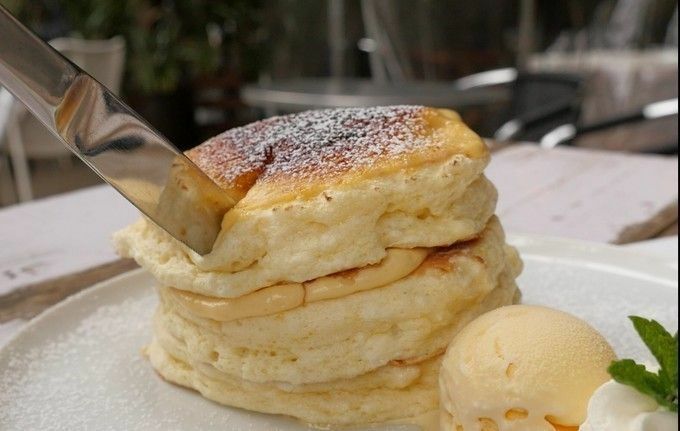 512 Cafe & Grill is only 4 minutes from Nogizaka Station and 6 minutes from Roppongi Station.